Hi friends! 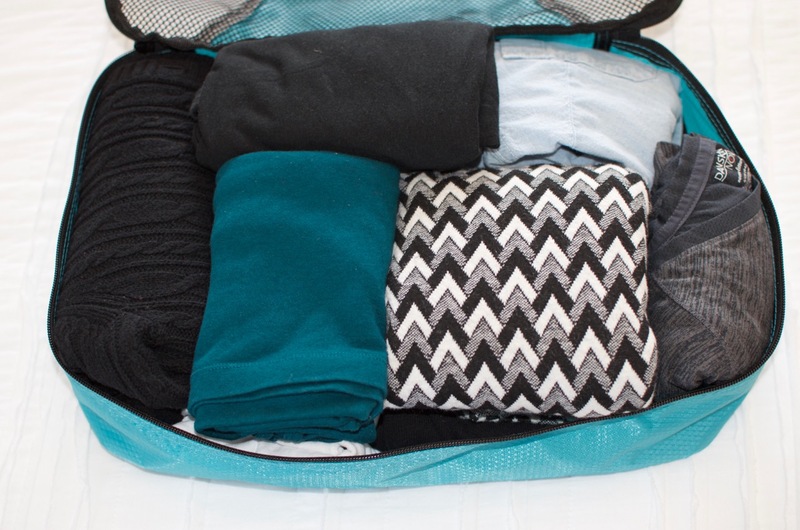 I’ve posted before about my packing tips for packing in a backpack, but it was for a warmer weather trip to Italy. 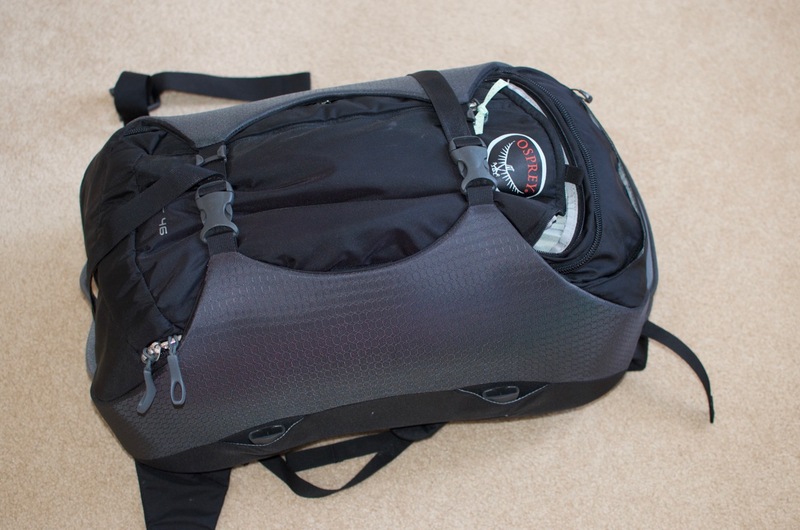 This time, I wanted to share some tips on packing for a winter or colder trip in a backpack. 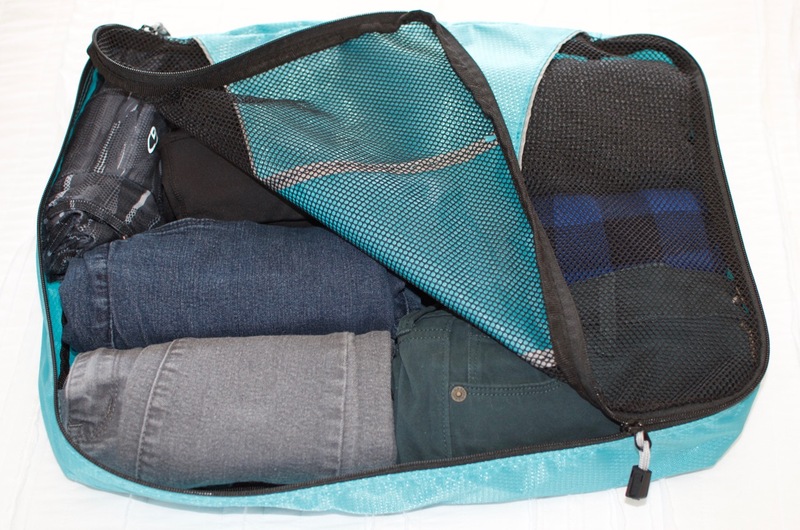 I can’t say enough good things about packing in a backpack and how easy it makes travel. 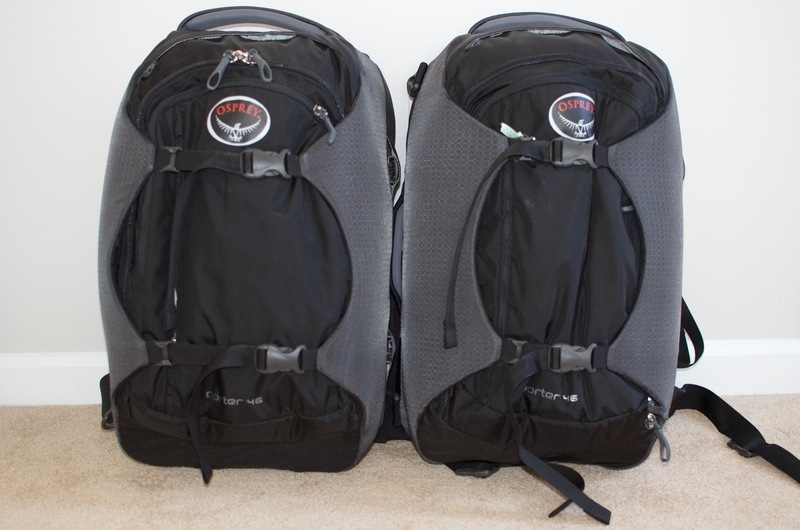 Here’s my last post on packing in a backpack and my trip planning tips where I link a few of the items I use for packing. 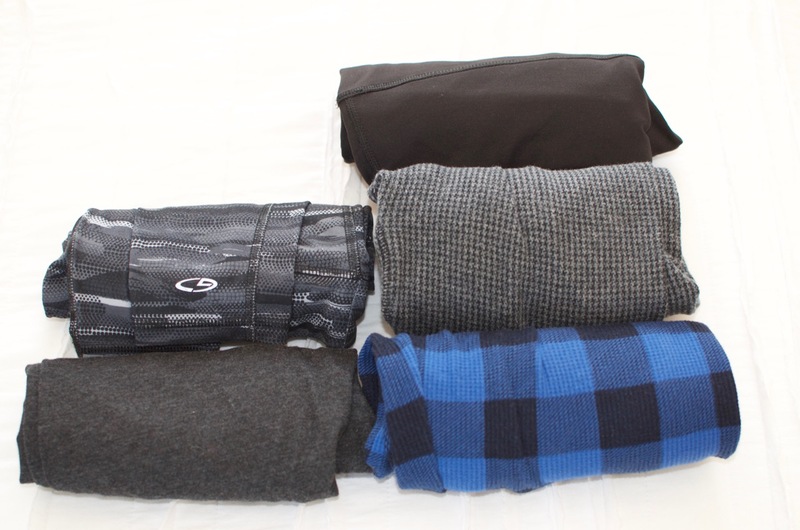 In this post, I’ll show you how to pack for a 7-10 day trip to a colder place and share where you can find a few of my favorite winter travel items. 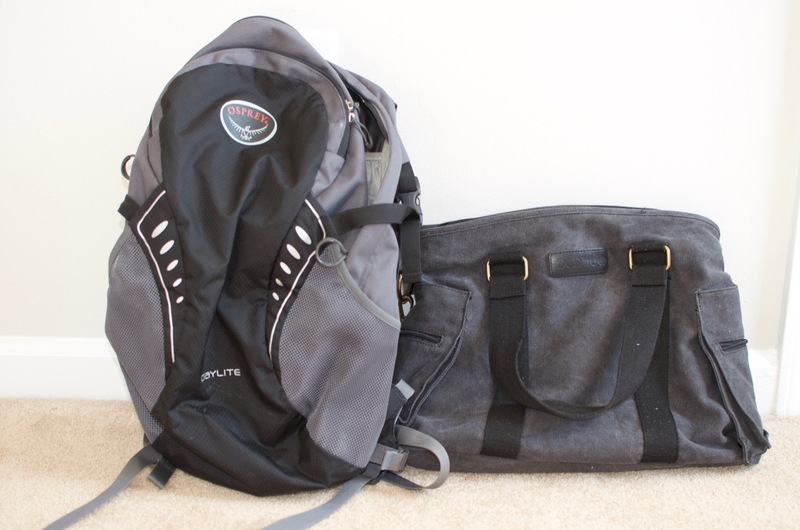 Bags: First, get yourself some Osprey bags and bags that meet the measurements for most airline carry on and personal item restrictions. 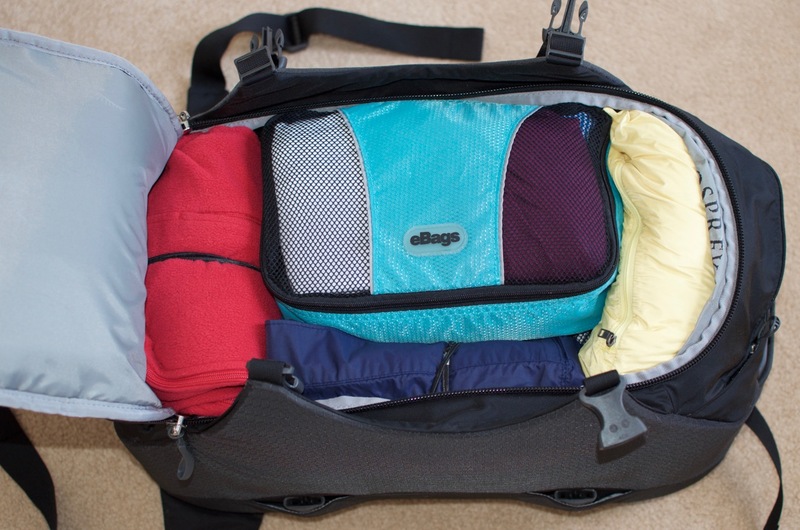 We love the Osprey Porter bag, the ebag packing cubes and the daylite pack. 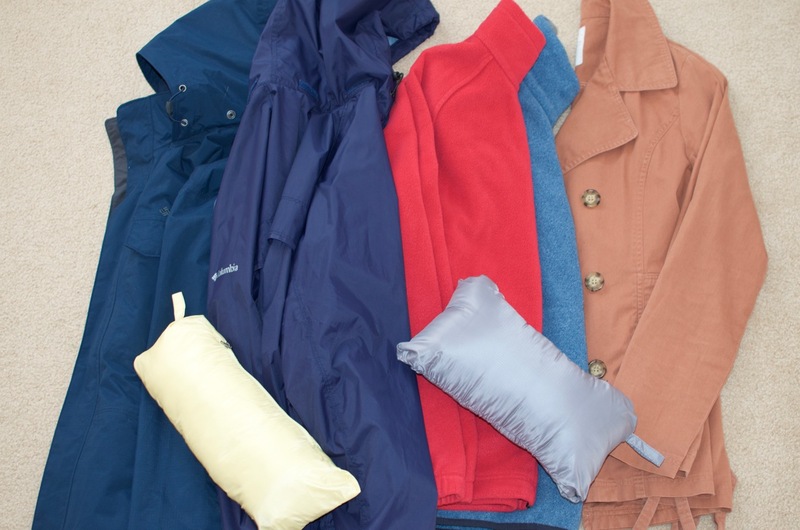 Jackets: Next, when there’s cold weather or rain or snow, you need to have the proper outerwear. Packable jackets are amazing. I also recommend a fleece jacket to wear on its own or under the packable down jacket. Also, don’t forget the hooded raincoat. 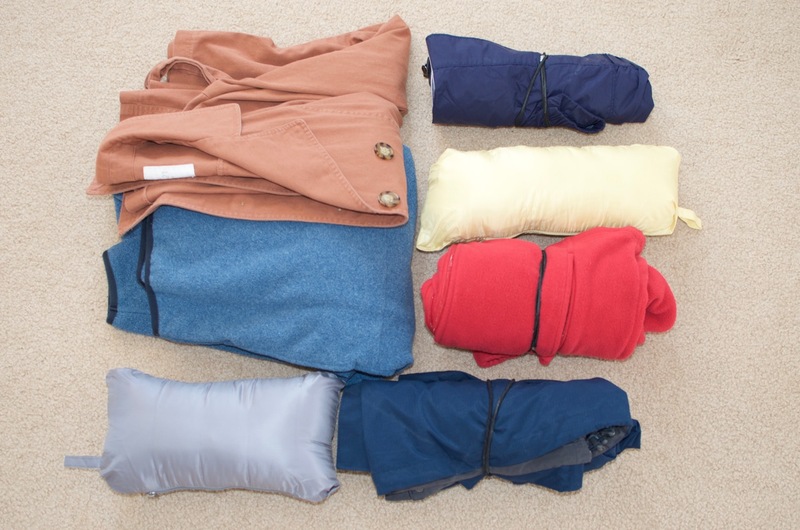 Be sure to roll up all of your other jackets and just wear the thicker one on the plane. Pants: Also, roll your pants and be sure to bring a variety. 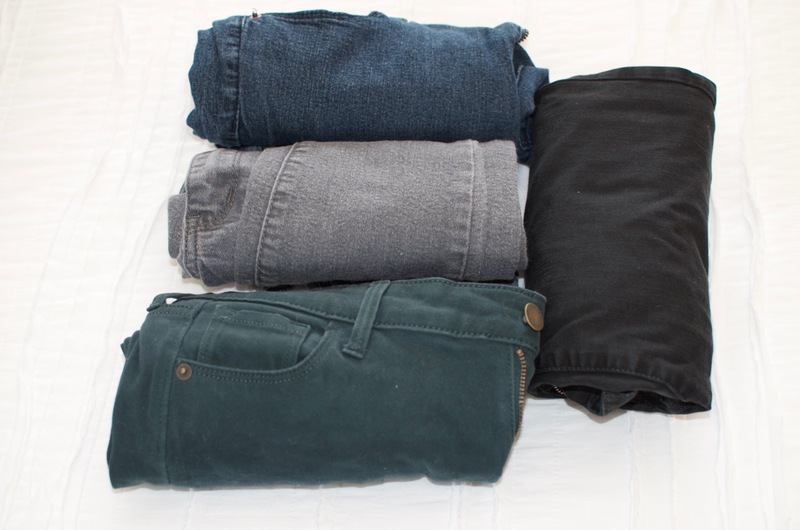 Most of the time, one pair of jeans, a pair of dark pants, 2-3 leggings will do the trick. If it’s really cold or rainy and you need waterproof pants, I recommend these from Amazon! They are perfect for layering leggings underneath or wearing alone. Also, I love these fleece lined leggings. Shoes: Shoes are obviously really important too, because if your feet are cold, the rest of you will be too. Most people claim that you can get away with hiking boots and double layers of socks, but snow boots or duck boots with good traction can be great too. I love these comfy Pajar snow boots and these Bean Boots. You can wear your heavy boots on the airplane, so there’s no need to pack these. 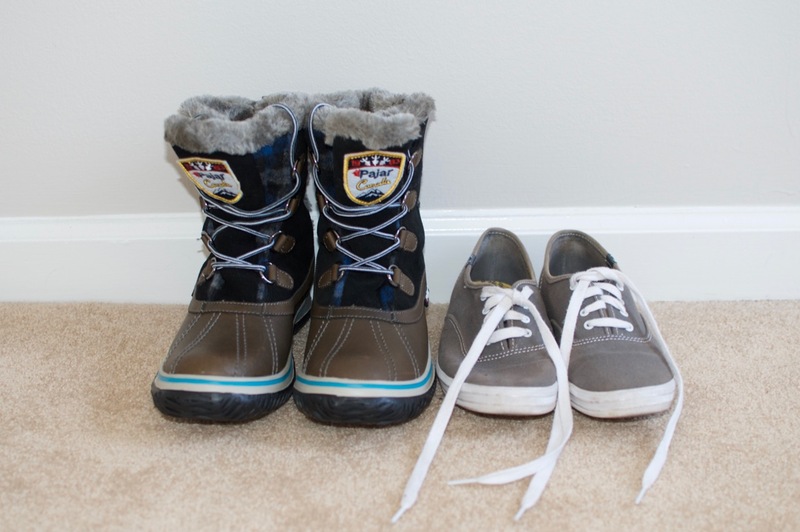 Don’t forget a pair of extra shoes, like Keds or TOMS because they pack well and are comfortable. 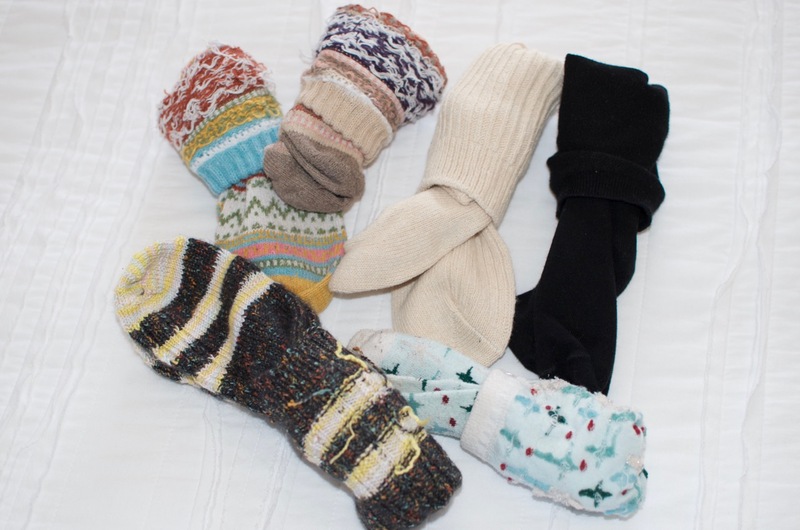 Socks: The general rule seems to be that wool socks are the way to go when you need your feet to stay warm and dry. I picked up the neutral wool socks here and the colorful wool socks here. Shirts: Pick a color scheme and stick to it. Pack shirts that are easy to layer over other shirts and not easily wrinkles. Grab one dressy shirt, a sweater or two, several “plain” shirts to go under cardigans and a button down. 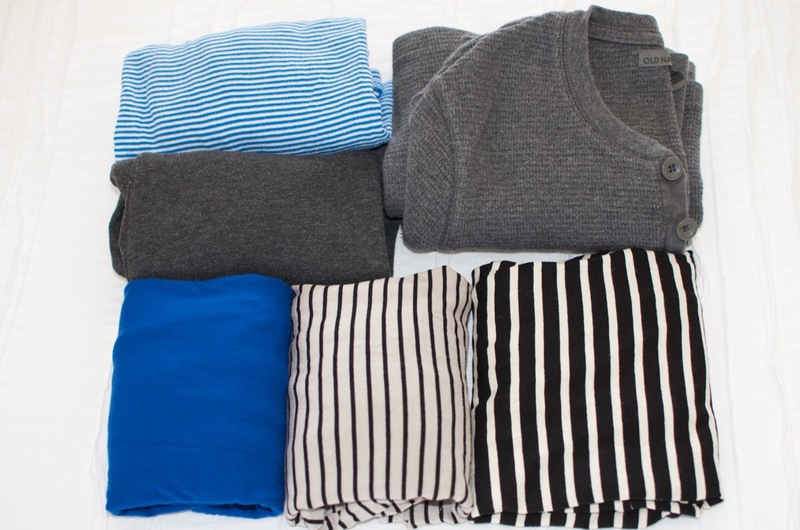 Depending on the length of your stay and how particular you are about wearing something twice, you’ll need 5-10 shirts. I always like to bring a few tank tops for added warmth. 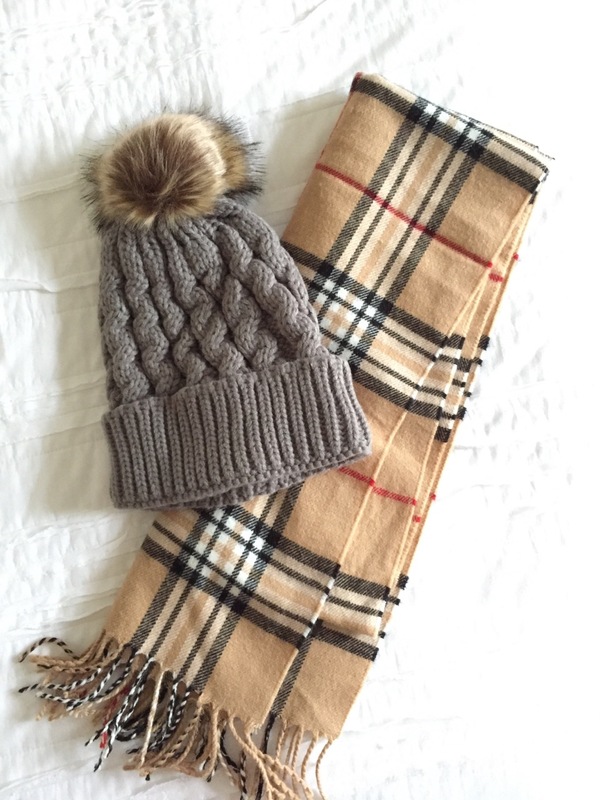 Extras: As far as extra items to add pops of color, I usually opt for a couple of scarves and in this case, wool hats. Don’t forget gloves, neck warmers and anything else you may need to keep warm. Don’t forget warm pajamas and a set of lounging clothes. You can find this adorable pom-pom hat here and similar options below. 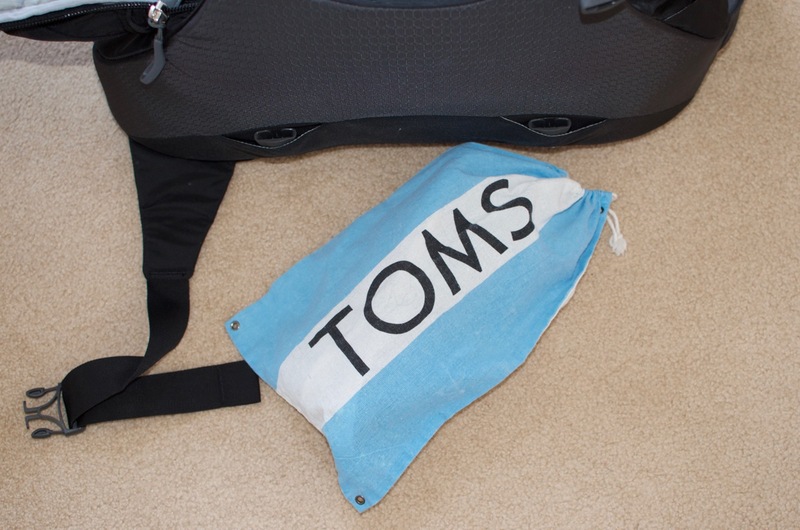 Shoes go in these old TOMS bags I have or some other cloth bag, because I hate having my shoes touch my clothes in my suitcase. I always put the shoes at the bottom part of the backpack. For my toiletries, magazines, books, electronics…I stick those in my “personal item,” which is pictured below. And my husband uses the daylite pack for his extra items.